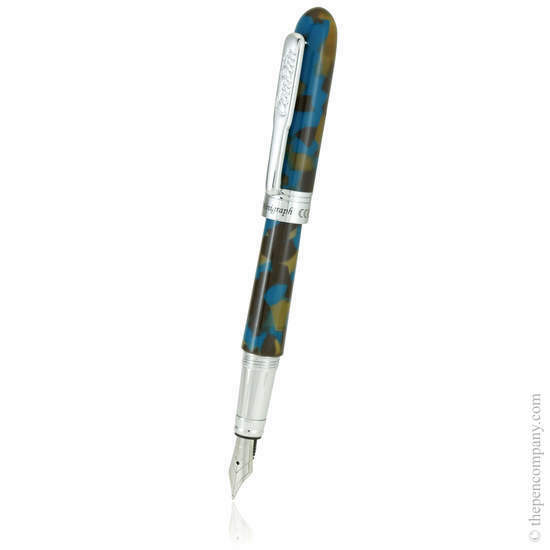 The minigraph range offers three diminutive multicoloured finishes perfect for carrying with you. Three distinctive models combine complementary colours in dappled finishes turned from solid resin. Bright chrome accents provide a pleasing contrast. 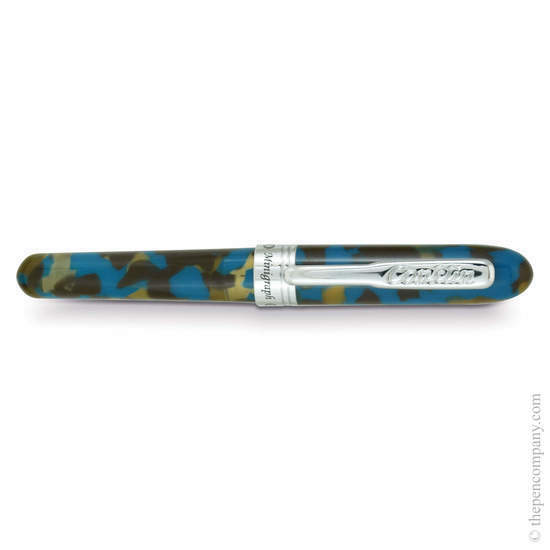 When capped the pocket-sized pen measures 10cm in length, but with cap posted gives the feel and balance of a full-sized pen. 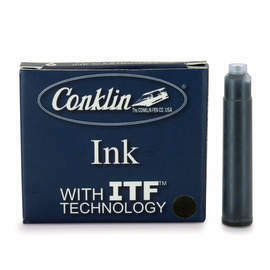 The Minigraph fountain pens feature Conklin's cushion point nib available in 5 widths or is available as a ballpoint.